The different tribes and ethnic groups in Nigeria have rich cultural heritage that places the country in an enviable position among the coming of nations. Unfortunately however, a lot of cultural myths and traditions exist that prevents some people that belong to these tribes from living their lives to the fullest. Some of such myths have unreal ideologies that have been passed from generation to generation so much so that it has come to be seen as norms. While people still hold on to superstitious beliefs, the world has moved past some of such myths. The world has grown past the era of myths and superstitious beliefs. While some of these myths are nothing but misconceptions that people have, some have serious deleterious effects on life and should be checked. A lot of Nigerian tribes expect women to be quiet and submissive. Women are expected to be quiet and comport themselves in a conservative manner. More so, they aren’t expected to speak at gatherings until they are allowed to even if they have a different opinion to the issue being discussed. Furthermore, it is deemed irresponsible for a Nigerian woman to ask a man out, irrespective of the yearnings of her heart. Speaking her mind in any form is seen as opposing culture and traditions that have been passed down from generation to generation. This is one myth that should be condemned to the annals of time as we are in the new age. 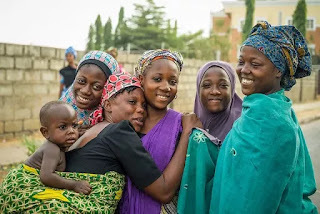 A lot of cultures see women rat give birth outside wedlock as second hand material with a lot of men referring to them as ‘After one’ or ‘ After two’, depending on the number of children they have outside marriage. This is no way to present women as it automatically portrays them as second fiddle and considered ineligible. Childbirth shouldn’t be seen as a stigma but a sign of productivity. In many parts of Nigerian culture, respect for older siblings is held in high regards. This sometimes allow the older ones to shove their thoughts and beliefs down the throat of their younger siblings. As such, a lot of women have men arranged for them by their older sisters and brothers. Some older siblings when challenged will tell the younger ones that they were also forced into marriages while they were younger and that they know what’s best for their family. The misconception caused by the cultural cliché is something that should be condemned to the dustbin of history because the world has moved far beyond such. Some parts of Nigeria have some traditions that demands the spouses, especially women to mourn the deaths of their partners. Some of the mourning rites are borderline wicked and can go from the woman shaving off her hair to drinking the water used in washing the corpse, all in an effort to mourn their spouses. Cultural myths like this inflicts more suffering on the woman and the bereaved family. There is absolutely no justification for inflicting more harm and sorrow on a mourning partner all in an effort to demand their allegiance and love for the dead. 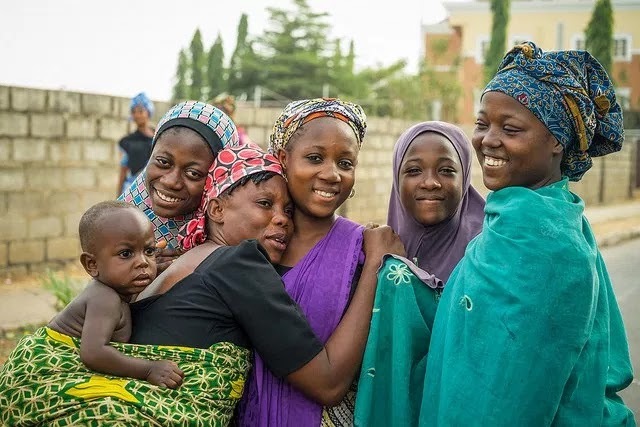 A number of tribes in Nigeria believe that every first child given birth to should be delivered in the native town and home of the unborn child’s grandparents. This cultural myth is a funny one to say the least because it endangers the life of the unborn child and the mother. This myth begs the question of whether there’s a need for the mother to go through such rites as a means of fulfilling a cultural belief and if truly children born outside the father’s hometown die or not. This myth and belief is prevalent in certain parts of Nigeria and demands that elder siblings present their marriage partners before the younger ones. This cultural belief has worked against a lot of people as they wait for their older siblings to get married while losing out on the love of their liives. There is no reason for a younger sibling to wait for the elder one as no one should have to live their lives based on the standards of another person.